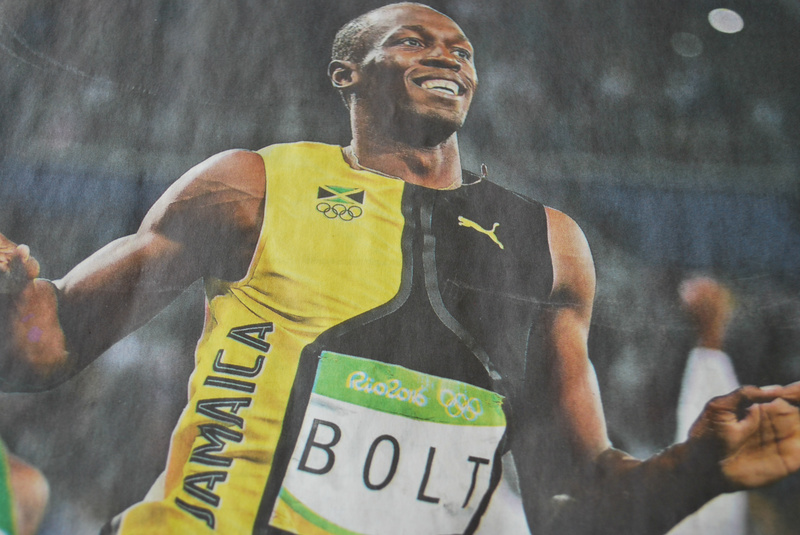 The Fastest Man on Earth – Usain Bolt! As our Pastor, Tara Beth Leach, said last Sunday, “I’ve got Olympics Fever!” I’ve got it, too, I’m afraid, as I find myself tuning to Channel 4 to see what Simone Biles has done now to get another gold medal, or what records Michael Phelps and Katie Ledecky have broken. The Chinese women divers astonish us with their perfect precision and Sarah Robles lifting hundreds of pounds was unbelievable. Watching Usain Bolt, the fastest man on earth for twelve years running was awesome, winning the 100 meter dash in three consecutive Olympic games. As one of the TV guys put it, ten seconds to win, 30 minutes to celebrate, circuiting the track, leading his own cheers of BOLT! BOLT! BOLT! These people live in another world from the rest of us. Watching the Olympics, this really became a reality for me. Only one person wins the gold, silver or bronze and it’s not that hard to be disqualified. Seeing a couple of runners engage in a false start, which got them immediately disqualified from the Games was tough to watch. All their hopes and dreams, all their hard work, for naught. This is training, too, maybe even harder than a million laps or falls from the balance beam.